B.liv O2 Bubbly Bright - are healthy pores the key to healthy skin? The bubble mask trend is not over, during the summer I've tested different bubble mask and today I'm going to show you another one but this time it won't be a product from Korea. We have to admit that healthy pores equal healthy skin and B.liv knows about it very well. B.liv o2 Bubbly Bright Mask came to me all the way from Malaysia. Is this product the best bubble mask I've ever tried? The whole history of brand B.liv has started in the year 2009, the main motto of the brand is "healthy pores, healthy skin". From the motto, you can easily guess that this brand is all about pore care. The most important thing for me is spatula - the producer didn't disappoint me, there are a spatula and additional lid that keeps the mask fresh. It's easy to open the product and the design is minimalistic. Water - a source of minerals and moisture. It’s the most basic element of the product. Triethylhexanoin - an emollient, that gives the scent to the product but it also works as a good moisturizer for hair and skin. Methyl Perfluorobutyl Ether - a solvent that dissolves more oxygen than water. It is told that this ingredient can help with collagen production and wound healing. This ingredient is used in bubble mask. Cetyl Ethylhexanoate - an oily emollient, it makes skin and hair soft and moist. Unfortunately, it can be comedogenic. Butylene Glycol - a humectant and preservative, it helps other ingredients to get beneath the skin but it’s also a moisturizer. It can be comedogenic. Caprylic/Capric Triglyceride - an oily emollient, protects skin from dehydration but it helps with product application as well - it makes a product easier to spread on the skin. Unfortunately, it might be comedogenic. Glycerin - a humectant and a delicate preservative, but also a very powerful moisturizer. It helps other substances to get beneath the skin but it also regenerates the skin. Some people say it might be comedogenic, but in the comedogenic rating, this ingredient is placed very low. Sodium Myristoyl Glutamate - a surfactant and emulsifier. Xanthan Gum - also known as E415, a safe stabilizer, and thickener. Cetearyl Alcohol - an oily emollient and emulsifier. Unfortunately, it might be comedogenic. Stearic Acid - an emollient and emulsifier, it can prevent skin dehydration and it prevents skin from strong detergents. It helps other substance to get beneath the skin surface, it’s also a good moisturizer. It might be comedogenic. Glyceryl Stearate - an oily emollient and emulsifier. Unfortunately, it might be comedogenic. Oryza Sativa (Rice) Powder - a filler with a good meaning to your skin, it doesn’t only absorb sebum and dampness but it has positive meaning for acne prone skin because it has antibacterial properties. Panthenol - also known as provitamin B5, it’s a humectant and good moisturizer. It helps with sunburns, dehydrated and irritated skin. Sorbitan Olivate - an emollient and emulsifier, it prevents skin from dehydration, but it can be comedogenic. Betaine - a humectant with anti-static properties. It’s a strong moisturizer that makes skin and hair soft, it also makes wrinkles more smooth. Helianthus Annuus (Sunflower) Seed Oil - a source of Vitamin E and carotene. A natural oil and oily emollient, it protects skin from dehydration. It’s safe in use but acne-prone skin shouldn’t use it too often because it might be comedogenic. Sorbitan Stearate - an emulsifier and delicate cleansing agent. It gives a delicate scent to the product. It might be comedogenic. Hyaluronic Acid - a humectant, it’s a good moisturizer that helps with wrinkles and sensitive skin. It can help with mild pigmentation problems. Ginkgo Biloba Leaf Extract - an antioxidant with soothing properties. Glycine Soja (Soybean) Oil - an oily emollient and antioxidant, a source of Vitamin E. It makes skin soft and nourished. It helps with irritation and it can slow down the ageing process. It might be comedogenic. Origanum Vulgare Flower/Leaf/Stem Extract - it’s an oregano extract, it has antiseptic properties. Thymus Vulgaris (Thyme) Extract - an antibacterial ingredient that gives the scent to the product. It works very well on acne-prone skin. Rosmarinus Officinalis (Rosemary) Extract - an antioxidant and natural ingredient. It has antibacterial and anti-inflammatory properties. It doesn’t only give a scent to the product but it can also help with cellulite, wrinkles, dandruff and hair loss. Lavandula Angustifolia (Lavender) Extract - an extract with antibacterial and antiseptic properties. It gives the scent to the product. Salix Alba (Willow) Bark Extract - an ingredient with anti-inflammatory properties. It’s a really useful ingredient for acne-prone skin. It’s a source of salicylic acid (BHA). Chamaecyparis Obtusa Leaf Extract - also called hinoki cypress. It’s quite a young ingredient in a skin care. It has antibacterial ingredients, it makes skin soft but it’s also a good moisturizer that helps with acne. Origanum Vulgare Leaf Extract - it’s an oregano extract, it has antiseptic properties. Portulaca Oleracea Extract - also known as Purslane and Ma Chi Xian. A humectant and source of vitamins and minerals such as vitamin E and vitamin A. It’s a good moisturizer. Mannitol - a humectant that gives the moisture. Cellulose - an absorbent and stabilizer. Hydroxypropyl Methylcellulose - a stabilizer and emulsifier. Tocopheryl Acetate - a preservative and antioxidant. It’a s form of Vitamin E, it’s a good moisturizer and nourishing ingredient that helps with wrinkles. Scutellaria Baicalensis Root Extract - an anti-inflammatory ingredient that helps with allergies. It’s also an anti-ageing ingredient. Cinnamomum Cassia Root Extract - also called Chinese cassia or Chinese cinnamon. An antioxidant, it might help with wrinkles and acne but it’s a mild ingredient. Lactobacillus/Soybean Ferment Extract - an antioxidant with antibacterial properties. It’s a product of fermentation that helps with skin moisture. Glycyrrhiza Glabra (Licorice) Root Extract - it’s an antioxidant and natural ingredient with anti-allergic and anti-inflammatory properties. It helps with wounds healing, redness, inflammation, acne, and pigmentation. It works very well on acne-prone and oily skin. Bixa Orellana Seed Extract - also called Annatto, a natural colourant with antibacterial properties. Tocopherol - Vitamin E, preservative and antioxidant. 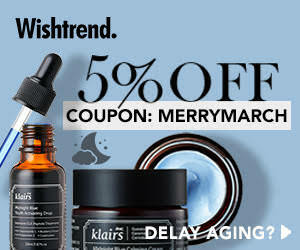 It’s a good moisturizer and nourishing ingredient that helps with wrinkles. CI 77491 - also known as Red Iron Oxide, Ferric Oxide or Diiron Trioxide, a natural colourant, safe in use. The texture reminds me more of a face cream or even very thick face gel than a face mask, it has some little red dots inside. It's easy to apply the product on the face, after about 1 minute the mask will turn into foam. The smell reminds me of wine, I can clearly smell the ferment here. This time I've decided to show you some photos of the mask, I hope that it'll be visible. The main ingredients that work in this product according to the producer are o2 bubbles, rice powder and red soft beads. Their role is not only to clean the skin but also brighten the skin, what else they do? There are 3 points that they have to do - Purifying +Brightening +Exfoliating. But let's start from the begging, I've applied this mask onto my skin and left the mask for about 10-15 minutes. I have to admit that the smell of the mask is not the best for me - I'm not a fan of wine and this mask reminds me of a wine a lot on the other half I'm happy that I can't smell pure alcohol here but a ferment. The mask starts to work and the whole face is full of bubbles, they are not really big and they are very gentle. What do I do next is to massage my face and clean it with a fresh water - it shouldn't be cold or hot as hell. There's an information on the packaging that this mask was made in Korea and definitely, the ingredients here are very similar to the ingredients I know from Korean brands. Does this mask really help? I feel like it does, I'm sure that adding this mask to my routine helped me and still does with pigmentation. 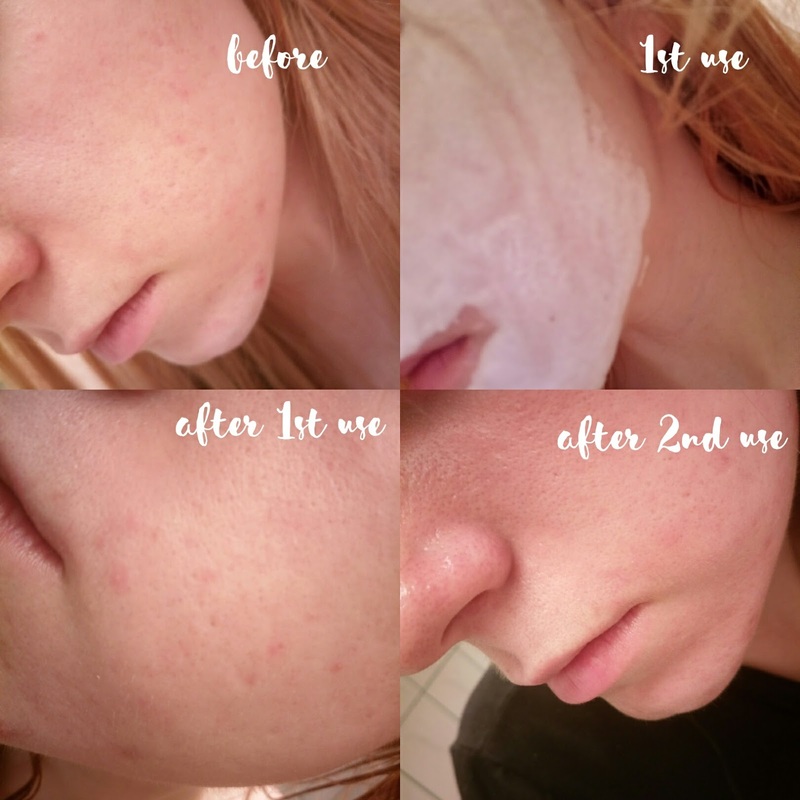 My skin is brighter and cleaner, as I usually say with pore care - clean pores require lots of work, you need to work on your skin regularly, I'm using this mask twice a week. You can get this b.liv o2 Bubbly Bright Mask (39$/50g) from the b.liv website. Are healthy pores really that important? Yes, healthy pores are keys to the healthy skin. B.liv mask is a nice addition to my skin care, I've tried many bubble mask and every new mask somehow surprises me, b.liv has a unique texture and smell. I'm sure this mask will stay with me for a longer time. And how do you care about your pores? How do you like this mask? Trend na bąbelkowe maseczki nie znika! Przez lato przetestowałam kilka różnych bąbelkowych maseczek, dzisiaj przedstawię Wam kolejną z nich, jednak tym razem nie będzie to produkt prosto z Korei! Musimy przyznać, że zdrowe pory to zdrowa skóra i B.liv dobrze o tym wie. Maseczka B.liv o2 Bubbly Bright Mask przybyła do mnie aż z Malezji. Czy produkt te to najlepsza bąbelkowa maska jaką próbowałam? Cała historia marki B.liv zaczęła się w roku 2009, główne motto marki to „healthy pores, healthy skin” czyli „zdrowe pory, zdrowa cera”. Z samego motto możemy wnioskować, że marka poświęcona jest pielęgnacji porów. Najważniejsza rzecz dla mnie w tym produkcie to szpatułka - producent nie zawiódł mnie, nie tylko pojawiła się szpatułka, ale i drugi dekielek, który zabezpiecza maskę. Produkt z łatwością możemy otworzyć, a cały design zachowuje minimalizm. Water (woda) - źródło minerałów i nawilżenia. Jest to podstawowy element w produkcie. Triethylhexanoin - emolient nadający zapachu, używany jako składnik nawilżający włosy i skórę. Methyl Perfluorobutyl Ether - rozpuszczalnik, który rozpuszcza więcej tlenu niż woda. Mawia się, że składnik ten pomaga z produkcją kolagenu i przyśpiesza gojenie się ran. Składnik ten używa się w maskach bąbelkowych. Cetyl Ethylhexanoate - tłusty emolient, sprawia, że skóra i włosy są miękkie i nawilżone, niestety może być komedogenny. Butylene Glycol (glikol butylenowy) - humektant i konserwant, pomaga innym składnikom w przedostanium się do głębi skóry, jest to dobry nawilżacz. Może być komedogenny. Caprylic/Capric Triglyceride (trigliceryd kaprylowo-kaprynowy) - tłusty emolient, który chroni cerę przed odwodnieniem, ale również ułatwia aplikację produktu. Niestety może być komedogenny. Glycerin (gliceryna) - humektant i delikatny konserwant, ale również dobry nawilżacz. Pomaga innym substancją do przeniknięcia w głębsze warstwy skóry, ale również regeneruje skórę. Niektórzy twierdzą, że substancja ta może być komedogenna, jednak w rankingach komedogenności gliceryna uplasowała się bardzo nisko. Sodium Myristoyl Glutamate (mirystyloglutaminian sodu) - substancja powierzchniowo czynna i emulgator. Xanthan Gum (guma ksantanowa) - znany też jako E415, bezpieczny stabilizator i zagęstnik. Cetearyl Alcohol (alkohol cetylostearylowy) - tłusty emolient i emulgator. Niestety, może być komedogenny. Stearic Acid (kwas stearynowy) - emolient i emulgator, chroni skórę przed odwodnieniem i silnymi detergentami. Pomaga substancją w dostaniu się do głębszych warstw skóry oraz zapewnia nawilżenie. Może być komedogenny. Glyceryl Stearate (monostearynian glicerolu) - tłusty emolient i emulgator. Niestety, może być komedogenny. Oryza Sativa (Rice) Powder (puder ryżowy z kiełków ryżu) - wypełniacz z dobrym znaczeniem dla cery, nie tylko pochłania sebum i wilgoć, ma również pozytywne znaczenie dla cery trądzikowej, ponieważ ma właściwości antybakteryjne. Panthenol (pantenol) - zwany też prowitaminą B5, to humektant i dobry nawilżacz. Pomaga z poparzeniami, odwodnioną cerą i podrażnieniami. Sorbitan Olivate (oliwian sorbitolu) - emolient i emulgator, chroni skórę przed odwodnieniem, ale może również zapychać cerę tłustą. Betaine (betainy) - humektant i substancja antystatyczna. Jest to silny nawilżacz, który wygładza skórę i włosy. Helianthus Annuus (Sunflower) Seed Oil (olej z nasion słonecznika) - źródło witaminy E i karotenu. Naturalny olej i tłusty emolient, który chroni cerę przed odwodnieniem. Jest bezpieczny w użyciu, jednak przy cerze trądzikowej trzeba na niego uważać, ponieważ zbyt częste korzystanie z tego składnika może skończyć się zapchaniem cery. Sorbitan Stearate (stearynian sorbitanu) - emulgator i delikatny środek myjący. Nadaje delikatnego zapachu. Może być komedogenny. Hyaluronic Acid (kwas hialuronowy) - humektant, dobry nawilżacz, który działa na zmarszczki i skórę wrażliwą. Pomaga również na niewielkie zmiany takie jak przebarwienia. Ginkgo Biloba Leaf Extract (wyciąg z liści miłorzębu japońskiego) - antyoksydant z właściwościami łagodzącymi. Glycine Soja (Soybean) Oil (olej sojowy) - tłusty emolient i antyoksydant, źródło witaminy E. Sprawia, że cera jest miękka i odżywiona. Pomaga z podrażnieniem i spowalnia starzenie się skóry. Może być komedogenny. Origanum Vulgare Flower/Leaf/Stem Extract - jest to ekstrakt z oregano, posiada on właściwości antyseptycznych. Thymus Vulgaris (Thyme) Extract (ekstrakt z tymianku) - składnik antybakteryjny, który nadaje zapachu. Działa dobrze na cerze trądzikowej. Rosmarinus Officinalis (Rosemary) Extract (ekstrakt z rozmarynu) - antyoksydant i naturalny składnik. Ma działanie antybakteryjne i przeciwzapalne. Nie tylko nadaje zapachu, ale również redukuje cellulit, zmarszczki, łupież i wypadanie włosów. Lavandula Angustifolia (Lavender) Extract (ekstrakt z lawendy) - ekstrakt z działaniem antybakteryjnym i antyseptycznym. Nadaje zapachu. Salix Alba (Willow) Bark Extract (ekstrakt z kory wierzby białej) - składnik z właściwościami przeciwzapalnymi. To bardzo silny w działaniu składnik do cery trądzikowej. Źródło kwasu salicylowego (BHA). Chamaecyparis Obtusa Leaf Extract (ekstrakt z liści cyprysika japońskiego) - zwany też cyprysikiem japońskim. To dość młody składnik w pielęgnacji cery. Posiada właściwości antybakteryjne, sprawia że cera jest miękka, ale i nawilżona. Pomaga z trądzikiem. Origanum Vulgare Leaf Extract - jest to ekstrakt z oregano, posiada on właściwości antyseptycznych. Portulaca Oleracea Extract - zwany też Ma Chi Xian. Humektant i źródło witamin i minerałów takich jak witamina E i witamina A. Dobry nawilżacz. Mannitol - humektant, który dostarcza skórze nawilżenia. Cellulose (celuloza) - absorbent i stabilizator. Hydroxypropyl Methylcellulose (hypromeloza) - stabilizator i emulgator. Tocopheryl Acetate (octan tokoferylu) - konserwant i antyoksydant. Forma witaminy E, dobry nawilżacz i składnik odżywczy, który działa na zmarszczki. Scutellaria Baicalensis Root Extract (wyciąg z korzenia tarczycy bajkalskiej) - składnik działający na podrażnienia, pomaga z reakcjami alergicznymi. Również działa na zmarszczki. Cinnamomum Cassia Root Extract - antyoksydant, który może pomóc na zmarszczki i trądzik jednak ma bardzo łagodne działanie. Lactobacillus/Soybean Ferment Extract - antyoksydant z działaniem antybakteryjnym. Jest to produkt fermentacji, który nawilża cerę. Glycyrrhiza Glabra (Licorice) Root Extract (ekstrakt z korzenia lukrecji gładkiej) - antyoksydant i naturalny składnik z działaniem antyalergicznym i przeciwzapalnym. Pomaga w leczeniu ran, zaczerwienienia, podrażnienia, przy zmianach trądzikowych i przebarwieniach. Dobrze radzi sobie z cerą trądzikową i tłustą. Bixa Orellana Seed Extract (ekstrakt z pestek arnoty właściwej) - zwany też Annatto, naturalny barwnik z działaniem antybakteryjnym. Tocopherol (tokoferol) - witamina E, konserwant i antyoksydant. Dobry nawilżacz i składnik odżywczy, który działa na zmarszczki. CI 77491 (tlenek żelaza) - zwany też Red Iron Oxide, Ferric Oxide czy Diiron Trioxide, naturalny barwnik, bezpieczny w użyciu. Tekstura maseczki przypomina mi bardziej krem do twarzy czy gęsty żel niż maseczkę. Maska posiada niewielkie czerwone kropeczki. Aplikacja przebiega bardzo łatwo, po około minucie maseczka zaczyna się utleniać i przemieniać w pianę. Zapach przypomina mi wino, wyczuwam tutaj nutę fermentacji. Tym razem zdecydowałam się pokazać Wam zdjęcia w maseczce, mam nadzieje, że cokolwiek na nich widać. Główne składniki, które mają działać na cerę to wg. producenta bąbelki z tlenem, puder ryżowy i miękkie czerwone granulki. Ich rola to nie tylko oczyszczenie cery, ale i rozjaśnienie jej. Zacznijmy jednak od początku, maseczkę nałożyłam na twarz i pozostawiłam na okres 10-15 minut. Muszę przyznać, że zapach maseczki nie jest dla mnie najlepszy, ponieważ przypomina mi wino, z drugiej strony - lepszy zapach wina niż czystego alkoholu, zapach jest wytłumaczalny - mamy tutaj tzw. fermenty. Maseczka zaczyna działać, a cała cera pokrywa się bąbelkami, nie są one wielkie, jest to delikatna piana. Następnym krokiem jest masaż twarzy i oczyszczenie cery czystą wodą - nie za zimną, nie za ciepłą. Na maseczce znajdziemy informację, że została stworzona w Korei, zdecydowanie składniki przypominają mi o składach produktów, które znam z Korei. Czy maseczka ta pomaga? Mam wrażenie, że tak, na pewno dodanie jej do mojej rutyny wyszło mi na lepsze jeśli chodzi o przebarwienia. Moja cera jest rozjaśniona i czysta, i to co zazwyczaj mówię jeśli chodzi o pory - czyste pory wymagają ciągłości w pielęgnacji, musimy na nie ciągle pracować, dlatego też maseczkę używam dwa razy w tygodniu. Maseczkę b.liv o2 Bubbly Bright Mask (39$/50g) kupisz na stronie b.liv. Czy czyste pory są rzeczywiście tak ważne? Tak, zdrowe pory to klucz do sukcesu zdrowej skóry. Maseczka od B.liv to dobry dodatek do mojej pielęgnacyjnej rutyny, wypróbowałam wiele maseczek bąbelkowych i z każdą jestem coraz to bardziej zaskoczona, tym razem b.liv zaskoczyło mnie unikalną teksturą i zapachem. Jestem pewna, że maseczka pozostanie ze mną na dłuższy czas. A jak Wy dbacie o pory? Czy maseczka przypadła Wam do gustu?